Parrish is a shareholder of the firm with over 20 years of experience serving a variety of middle market businesses and their owners. He has a passion for people and for providing exceptional client service as a business, financial and tax advisor. Parrish understands that business owners today are faced with many challenges. From business risk to regulatory requirements, Parrish sees himself as a partner with his clients and is a proactive problem solver. Parrish has significant experience working with clients in construction, real estate, manufacturing, commercial fishing and processing and professional service niches. He specializes in federal and multi-state income tax, WA B&O and sales taxes, and tax planning, structuring and analysis of buy/sell transactions, e-commerce, start-ups, trader taxation mark-to-market elections, and entity structuring. 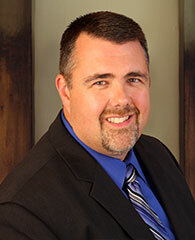 He also has experience helping small business clients with accounting, payroll and employment tax issues. Parrish received his Bachelor of Arts in Business Administration from the University of Washington, Seattle. Parrish is a member of the American Institute of Certified Public Accountants, Washington State Society of Certified Public Accountants, and Commercial Real Estate Development Association. Parrish enjoys spending time with family, and practically lives in eastern Washington during the summertime, boating in the sunshine. He enjoys the outdoors, and takes an occasional trip to Alaska or Maui where he can catch a fish or watch the whales. He also has a passion for trading in the capital and currency markets.